The group returns Dec. 9. Last year’s performance drew a sellout crowd, so those interested are advised to order tickets now. 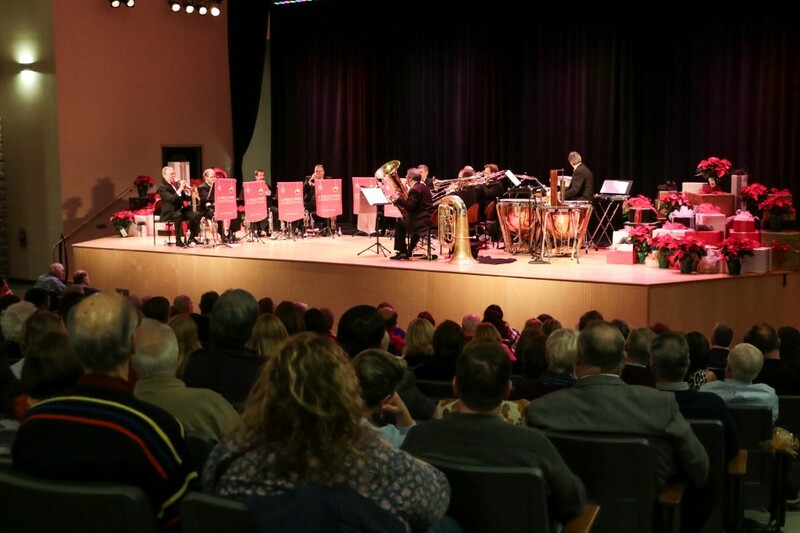 The Philly POPS returns to Burlington County Library in Westampton at 7 p.m. on Saturday, Dec. 9, and once again will offer up a selection of holiday swing favorites when members of the BIG Band perform. Last year’s performance in the library’s auditorium drew a sellout crowd, and organizers already are making ticket packages available for this renewal of the holiday season show. Individual tickets cost $125, but multiple ticket packages — ranging from $200 for two guests up to $750 for 10 — also are being offered. All guests are invited to attend a pre-concert wine and cheese and a post-concert refreshment reception. Those interested in purchasing tickets or ads for the program book should contact Jo Anderson at jo.anderson@verizon.net as soon as possible. The event is sponsored by the Burlington County Library System Foundation, a 501(c)3 non-profit that raises funds to purchase equipment and pay for structural improvements to the library’s branches. Jessica Siragusa, president of the foundation, encouraged businesses and individuals to support the concert through ticket packages and by purchasing ads for the evening’s program book. Ads range from $50 to $250.